Bromptons, the famous British-made city bikes that you can fold up and are ultra-light, are the stars of this world championship event that's been hosted at the Circuit de Barcelona-Catalunya for some years now (yes, the one that usually stages contests of motorbikes and F1 cars). 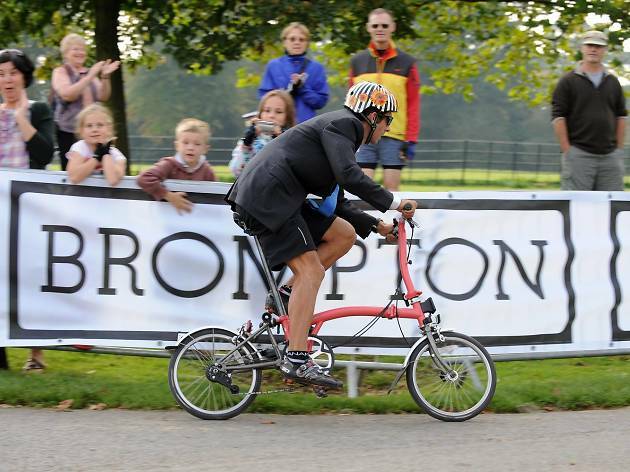 The competitors take part in a 14-km race (three circuits around the track) - however, to participate it's necessary to have a bike that's more than 16 years old and for cyclists to wear a suit jacket, shirt and tie. The winners of this regional stage have the chance to ride in the grand final, to be held in London in July.